are tailored to ensure the long-term success of your small business. We now support high risk companies too! We Now work with and approve of all business types. We Now Support High Risk Merchant Accounts! With new innovative products and over 5,500 customers nationwide, it's easy to see how we are making a difference. See how we can help your small business take credit cards with cheap rates. Success in the retail market demands that your retail business accepts credit cards for sales. Consumers will always look for the business that will allow them to make large ticket purchases, as well as everyday buys, on their credit cards. If you're not accepting credit cards yet you are definitely losing money! Entrust Merchant Processing has been the ultimate source for credit card processing to merchants of all shapes and sizes, and all business types. We process for over 215,000 successful merchants ranging in size and processing needs, from small business owners to high volume retail outlets. We have what it takes to make your business a success. Get the competitive edge your business needs today with a Superior Merchant Account. Our Payment Processing service is a provider of real-time or batch credit card processing solutions and electronic payment services. Our comprehensive array of services enable you to begin processing Visa, Master Card, American Express (Amex) and Discover immediately. Our Payment Processing team will guide you through the entire set up process with one of our customer service representatives. This will ensure that you acquire the best equipment available along with the best processing platform. We will continue to support you to ensure uninterrupted service. Our mandate is to help your business grow. Please send us the preliminary application located on our web site and we will respond to you within 24 hours. You can also call us anytime to learn more about our merchant accounts and online credit card processing services. We are a Tier 1 multi-platform payment processor used by merchants large and small across the nation. Our retail merchant account services supply a comprehensive cost effective solution for thousands of retail merchants across the United States and we would love to help your business too. Follow these easy steps and you'll be ready to process credit cards with your own merchant account in no time! 1. Fill in our online merchant account application form or call today to get your application setup. 2. Once we receive your online merchant account application, and review it for accuracy and completeness, we will immediately get your papers to you by fax or email for your signature. Once you return the completed forms, we send them directly to our merchant account processing department. This means no waiting weeks or even months for your merchant account to get approved. 3. The final step is only to wait, because an approval decision for a merchant account is received in 24-48 hours. This means your business could be accepting credit cards tomorrow! It really is that easy. Get started with a merchant account today! Most business owners and even merchant account holders are well aware that they should be accepting debit cards through emv compliant terminals. However, many do not understand how to fully take advantage of these financial tools, or, how accepting them will greatly increase their bottom line. Please review the information below as it pertains to the basics of visa and mastercard pin debit card processing, a free service with a merchant account from Payment Processing. The most common way to accept debit cards with an emv compliant terminal like verifone is an "off-line debit transaction." In this format the merchant account owner accepts a debit card the same way in which they would accept a normal credit card. The debit card is swiped through the E.M.V enabled credit card terminal and the customer signs the receipt. As far as the merchant account owner is concerned there is no difference in the way a credit card or an off-line debit card is processed. The one thing merchant account owners must remember is that the debit card must have a VISA or MasterCard logo on it. Debit Cards that do not bear the Visa or MasterCard logo can not be processed off-line and will not be approved. A newer and cheaper method for accepting debit cards at the point of sale is an "online debit transaction." In this type of sale the debit card must be swiped through the credit card terminal and a PIN Pad must be installed on the terminal. Instead of signing the receipt for the transaction the customer will be prompted to enter his or her PIN number into the PIN Pad. The terminal will pass the encrypted number to the bank for verification. The merchant account owner will then be paid for the transaction in the same manner and time frame that they would be paid on a credit card sale. 1. Transactions can not "downgrade." With debit cards, you will always pay the same flat fee as long as the customer enters their PIN number. You will not have to worry about paying expensive downgrade fees on transactions that did not qualify for the best rate. There's no risk in accepting debit card with your merchant account! 2. Faster check out time. Most merchant account owners don't realize how much time it takes to hand a receipt and pen back and forth over the counter. Consumers appreciate the speed of online debit transactions and feel more comfortable making smaller purchases when they don't have to worry about holding up the line. Another good reason to accept debit cards with your merchant account! Every consumer has their own spending habits and preferences in how they pay for products. More and more consumers are getting used to entering their PIN at the point of sale and prefer to spend their money at places that accept debit cards. These customers expect to be able to pay with their debit cards. Make sure you accept debit cards with your merchant account! 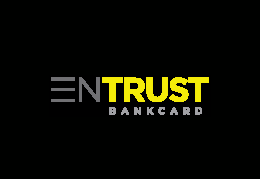 Entrust Bankcard Puts Employees First. Image, style, enthusiasm and commitment equals effective leadership. Why Work at Merchant Bankcard? 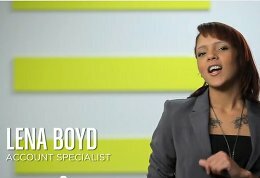 Experience why Merchant Bankcard USA is the 18th fastest growing company in the US. 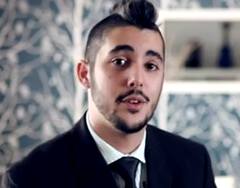 See inside what a day in the life of an Merchant Account Bankcard Employee. Merchant Services Bankcard USA is all about a lively environment with excellent career advancement. COPYRIGHT © 2019 ENTRUST BANKCARD. ALL RIGHTS RESERVED. ENTRUST BANKCARD IS A REGISTERED ISO/MSP OF MERRICK BANK, AND HSBC BANK USA, N.A., BUFFALO NY.